So, recently it's been said that the average person owns 3.64 connected devices. Is that a phone and a tablet and maybe a streaming box ... or you can be like the overly enthusiastic guy like me who has 2 phones, a tablet, several dozen headphones/speakers and other chargeable things. But most of the time I'm just charging items that just need 2 types. 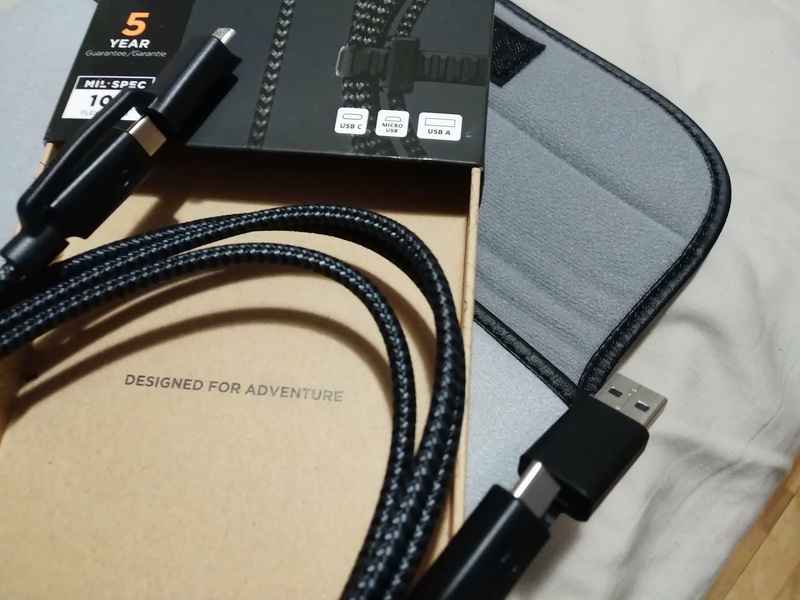 For that case, I'll look at this USB-C universal cable. For $30USD this model has one end that's either USB-C or A (the end you'd want to plug into a wall wort or a Chromebook port, etc...) and the other that has either microUSB or USB-C (so the end that'll plug INTO the device of choice). Now, slowly building up are the laptops and charging devices that have USB-C ports to connect to devices. I remember it on the Tab Pro S and there are several Chromebooks and new Macbooks that use USB-C on them. I only really have the Nomad Roadtrip that has USB-C connector on it, but more and more battery packs are starting to include them. Regardless of what you'd have to plug the cable into you are covered. And then plugging into any device (except Apple products) is also covered. With the micro/USB-C end again there's a notch to make sure you line up with proper orientation. It's not too bulky either and for my desktop downstairs where I never really bring my work device to, it's all I really need (unless I need to plug in more devices at once). Similar to the previous cable by Nomad I reviewed this also has their fancy 500Denier nylon braid to give it a rigid feel, great conductive core for good transfer and the 10K flex (meaning they bent it 10,000 times at the port end to ensure it won't come apart easily).